This weekend I went to the seaside with my boyfriend and one of our favorite activities is to visit all the resorts and find nice places to have a coffee and spend some time together. Because the weather wasn’t nice enough for sunbathing, not to mention the traditional kind of bathing, we wanted to do something fun and so we searched for some rides in all the resorts – but being off-season, there were none that were functional. So we walked around doing touristy stuff. Wandering in some souvenir-shops, I found a good deal on Gabrini nail-polishes (a Turkish cosmetics company, if I am not mistaken): beautiful shades at a low price. And as you can see, I went a little overboard with my purchase, buying seven different colored nail-polishes altogether. Talk about being an overly-excited girly-girl who can’t make up her mind! And I got even more excited when the sales lady told me that I can choose an extra one just because I purchased so many! So I wound up buying 8 bottles of nail polish at the low price of approximately 9 EUR. So obviously I got home that night and immediately chose a shade to paint my nails with, doing both pedicures and manicures. I chose the light-blue one, as you can see in the pictures below (you’ll have to excuse me, I have no talent when it comes to painting my nails – I am like a 6 year old playing with her mom’s cosmetics and painting outside the lines every. freakin’. time.). 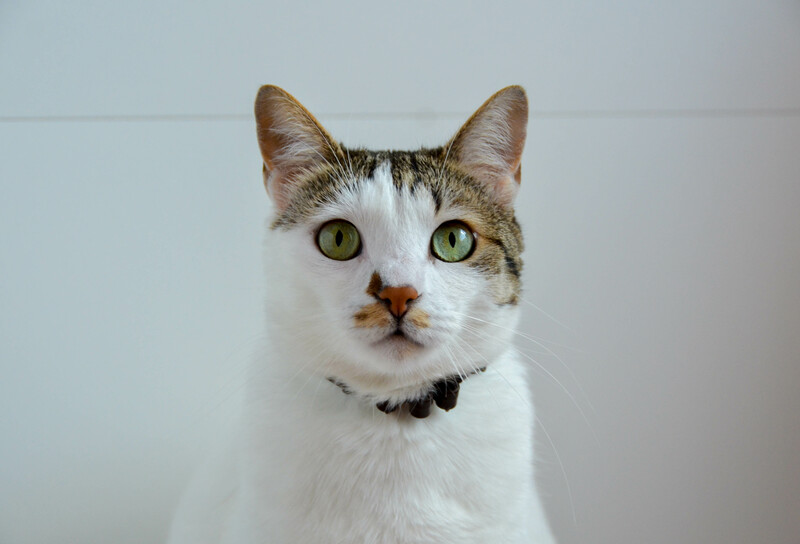 (The furry lady above is Zsa Zsa, our adorable, playful cat, who let me use her as a prop in one of the pictures. She didn’t mind, she received a good amount of petting – so we’re all happy). 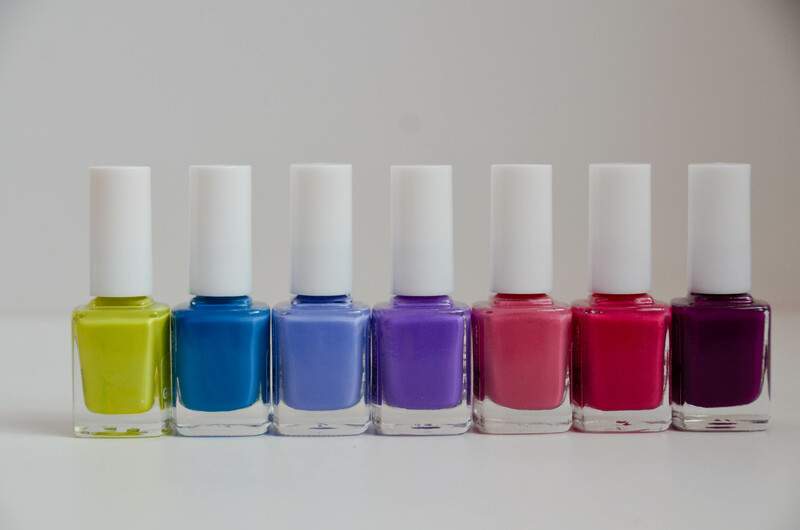 Now, being a cheap brand of nail polish, you can’t expect to have high-quality in addition to a low price and a wide range of colors. Case in point – the nail polish quickly thickens as you move on from one finger to another (it becomes gooey after the third or fourth nail). And also, you have to be very careful – put on one coat and your nail will show through the nail polish, put on two coats and risk ruining your entire manicure due to bubbles or stripes or during those two hours waiting for the nail polish to set (I may be exaggerating, but I lay very still keeping myself busy watching “The Office” out of fear that I’ll ruin my nails and time flew by – so I’m not sure about the waiting time). All in all, it’s what you’d expect from a cheap brand of cosmetics. And as the label reads “summer edition” that’s exactly how long you’ll be using this nail polish for – one season. After that, I sincerely doubt that the nail polish will be easy to use, even though the back of the bottle says that the product will expire in three years. 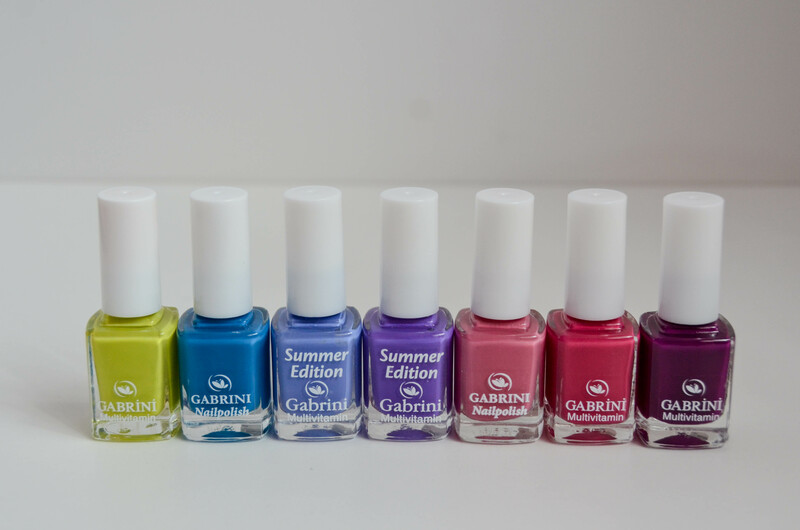 Have you ever used Gabrini nail polishes? What did you think? What other nail polish brands on a budget do you use?